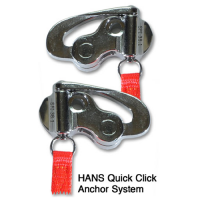 For use with quick click anchors with the sewn loop tether ends, not the post clip anchors with the metal clasps. 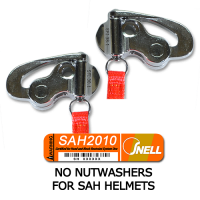 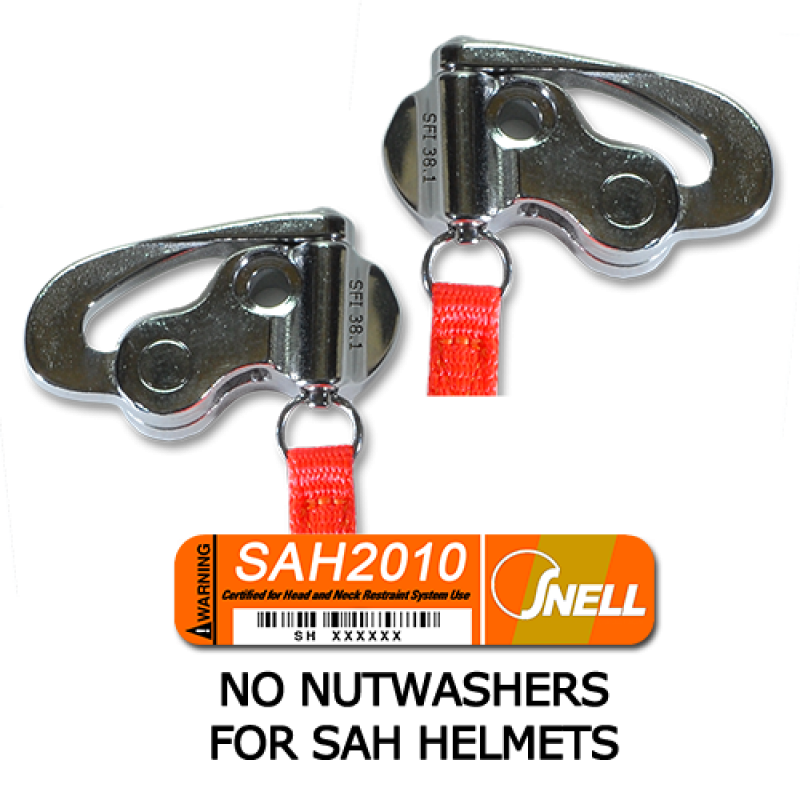 Use with SAH helmets with integrated M6 terminals. 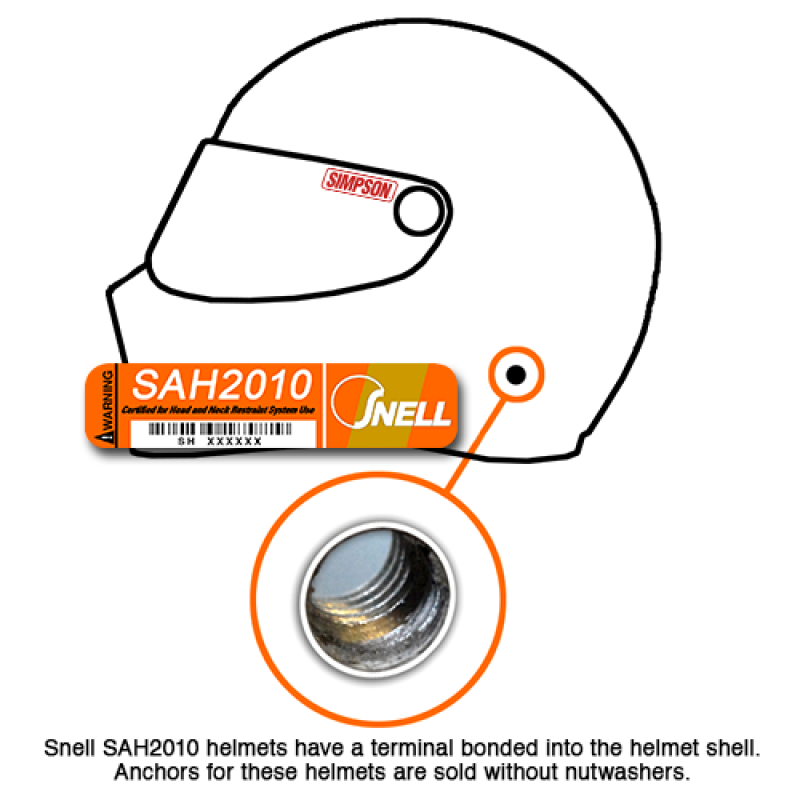  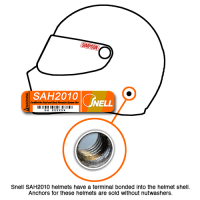 The quick click anchors enable fast release of the HANS device when needed and feature velcro sown into the ends.